After the Demise of my PT-25 (can be repaired one day) due to a receiver battery pack failure I have decided to design my own model so that I can utilise the radio etc from the boxy PT. I have now drawn up the sketches that I should be able to build off and will proceed later this evening to make a start on cutting the parts out (maybe whilst having a few beers in the garden). As a guess (depending on the weight) it will be powered using a 25-40 glow engine and I aim to get an auw of between 3-4 1/2lbs, from the weight I can then determine the rotor span. 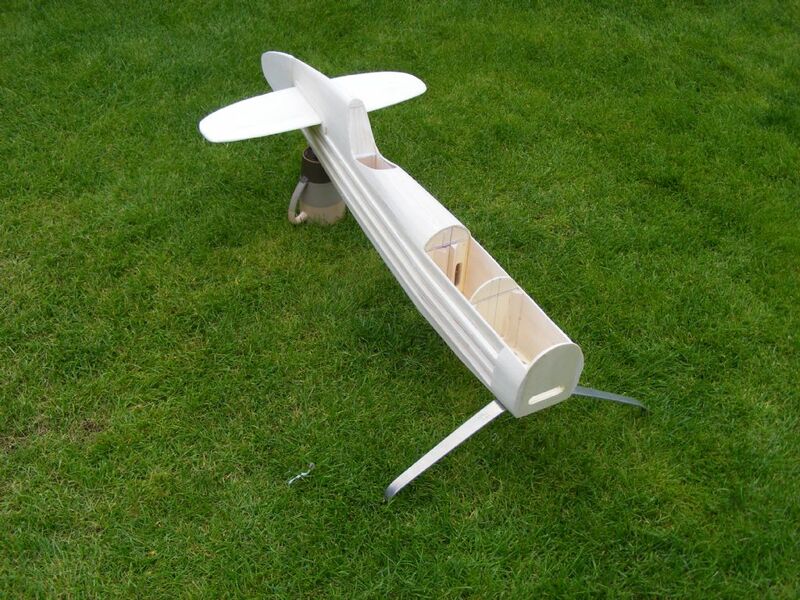 It will have a biggish tail, a nice wide UC and quite a tall mast so should be easy to fly. I want to make something I can teach my old man to fly and see if I can turn him to the dark side! I am hoping a few of my 'gyro nut' friends will have a go at it, maybe electrify it? Not much to see and a fairly boring photo! 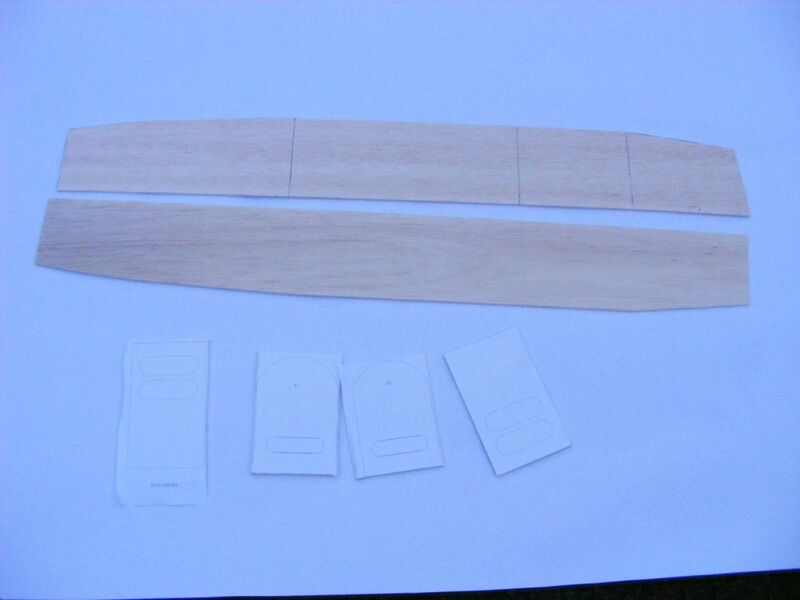 Construction will be just a standard box fuselage, formers printed out and 'prit stiked' to 3 mm lite ply before cutting out. 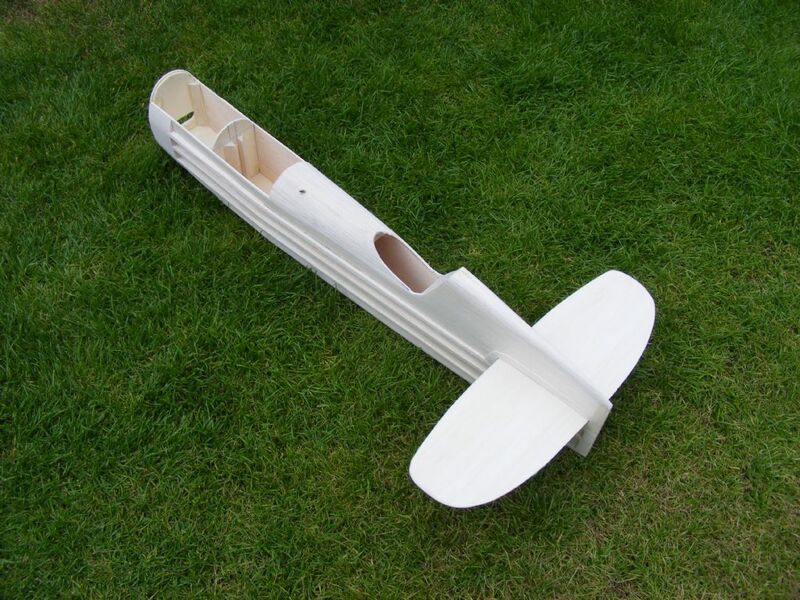 Fuselage sides are 3mm thick balsa sheet, too many flies outside to carry on tonight! 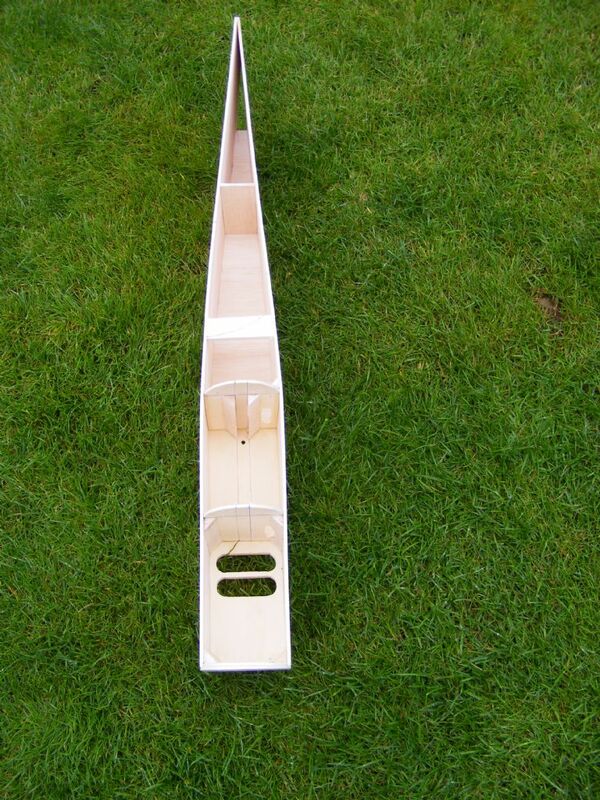 Basic box fuselage has gone together pretty easy. You can just make out the 2 centre forums and some triangular section, this will be where the mast will slot in. I am thinking of securing this from underneath so that the mast assembly is slightly in compression. 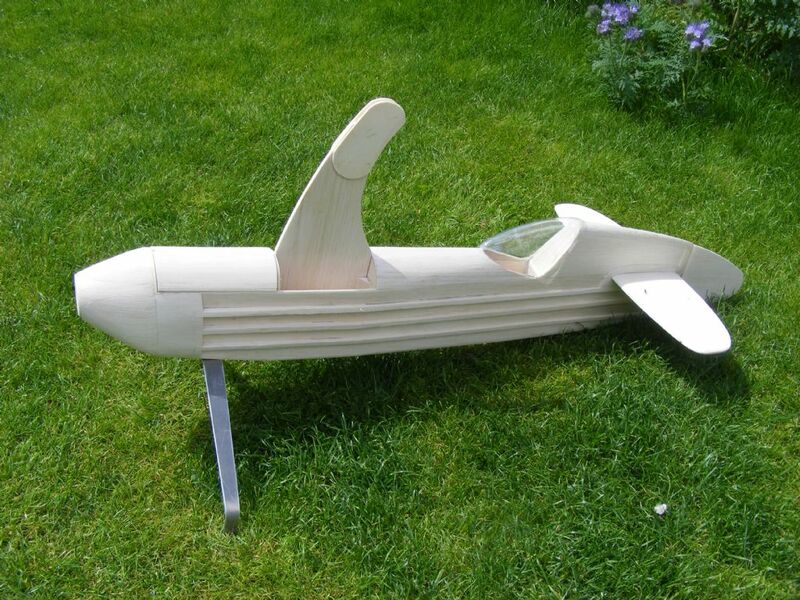 This along with the fuselage will become one structure, well that is my thinking. Cooling holes in the front lower bay are for cooling if I decide to go electric, I am just undecided which way to go at this satge. Not much to see again really, will do some more tomorrow. I had a couple of hours spare this afternoon before the mayhem of the kids returned home from school! 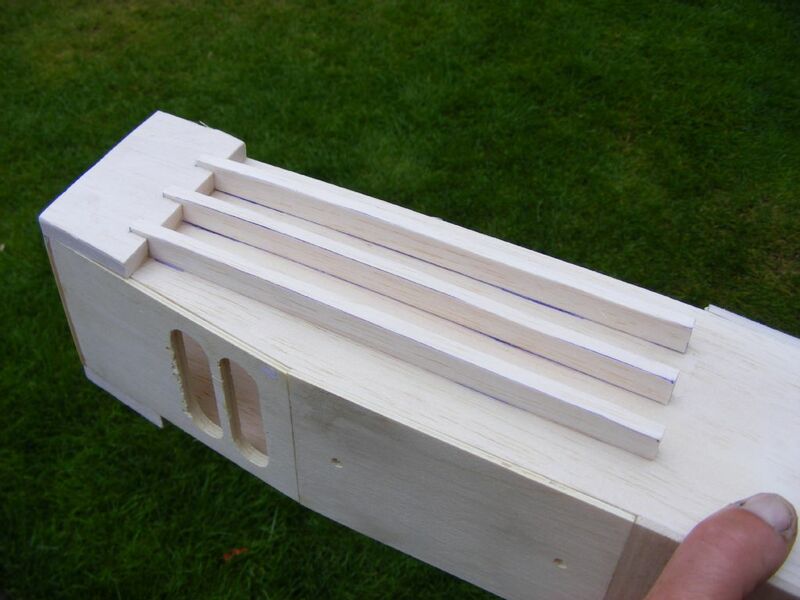 Added the top decking formers and sheeted it in 3mm soft balsa to give a bit of shape to the boring box fuselage. 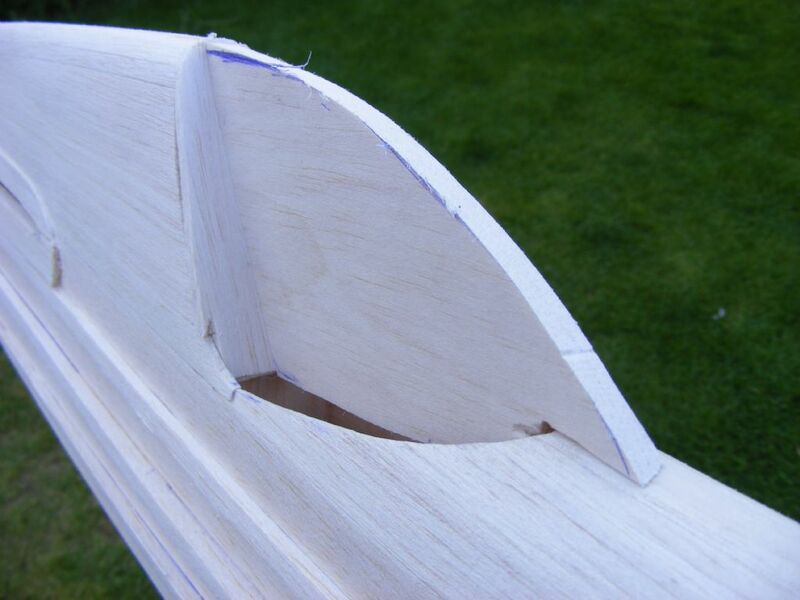 I will add stringers to the sides to try and give it an oval shape later on. 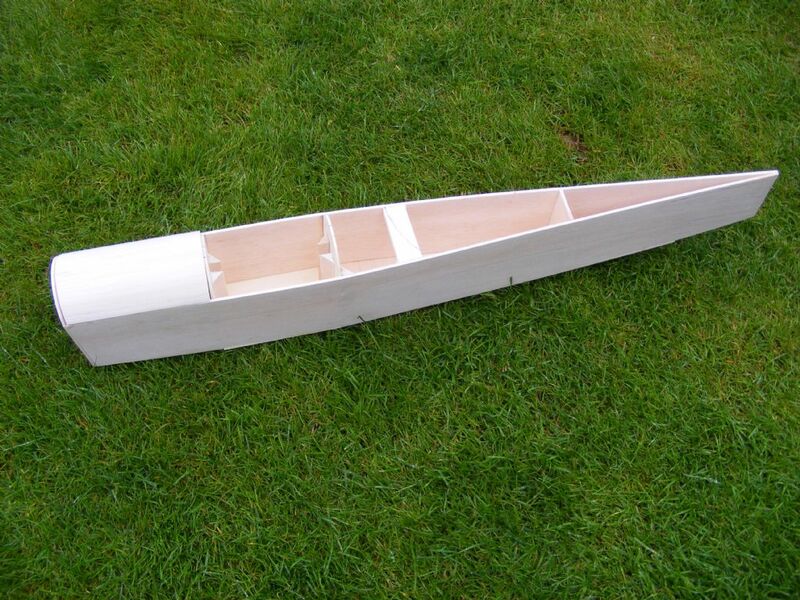 Also made up a duraluminium UC, though its final position has not yet been decided,but I have plenty of ply to bolt it to in the front compartment floor. The photo looking from above shows where the mast will slot in and bolt. ken anderson ne..1. twist fan club. 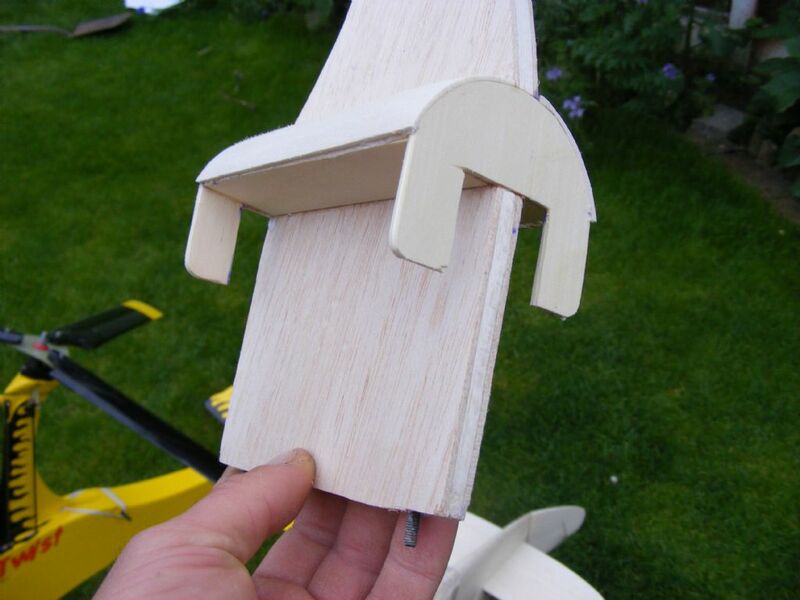 I added 10mm soft balsa 'cheeks' to the front of the box fuz, these have partial 6mm slots in. 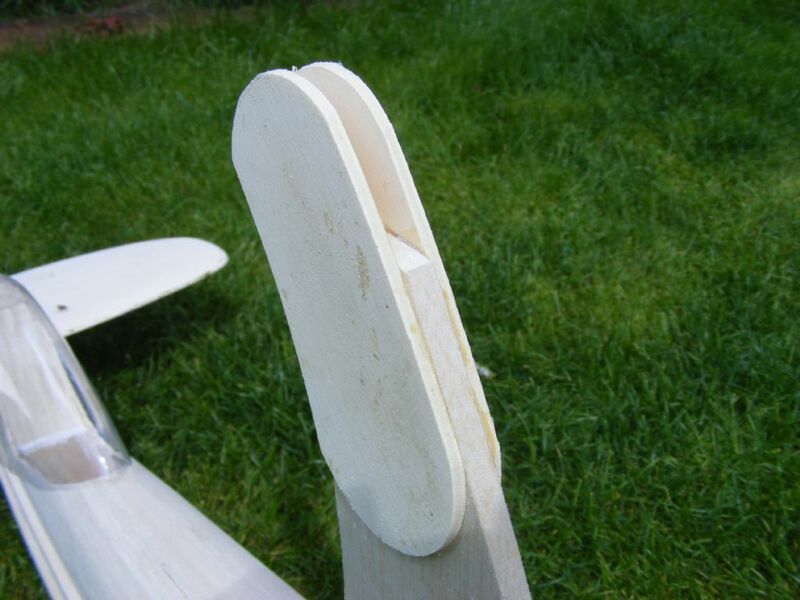 The 6mm balsa stringers were glued into these and back all the way to the tail,I have roughly sanded all this so that it tapers back and kind of gives a more rounded look to the fuz. 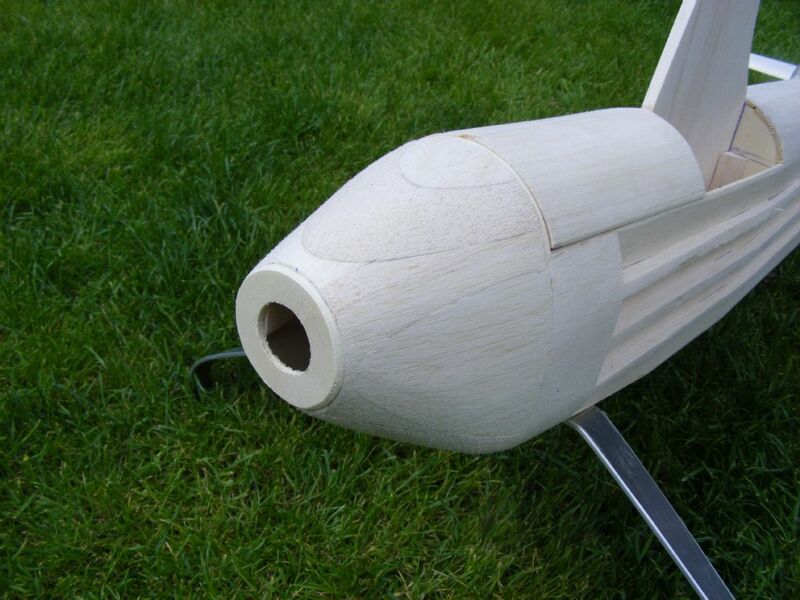 Will need to add balsa in here and there so that the covering blends with the top section around the tail area. Its coming along nicely , looks like you have built in quite a lot of downthrust or maybe thats just the way the photo shows it. 6 degrees, but it does look more looking at the photo. I will double check tomorrow, maybe I made a mistake and got my 6 and 9 muddled up! Measured the down thrust and it is 6 degrees, but does look more so must be an optical illusion. 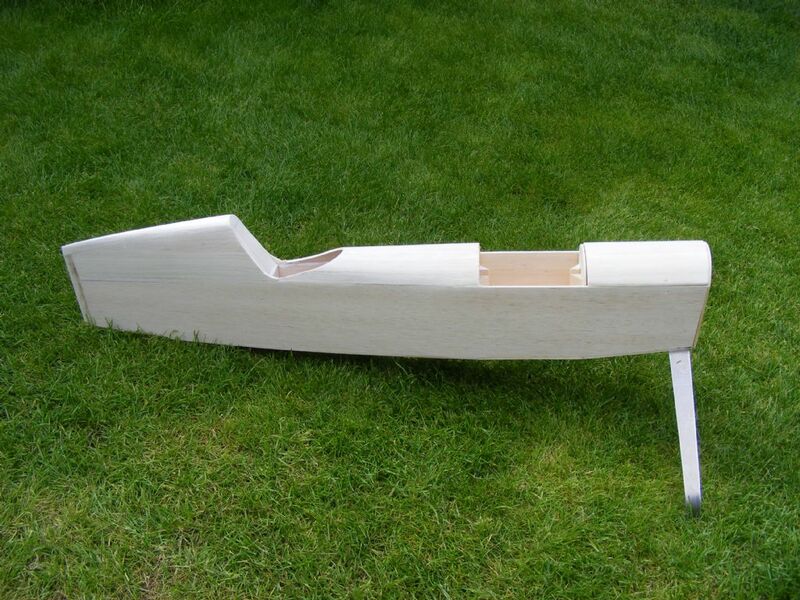 I have now made the tailplane which has been sanded to a clarke 'Y' section (ish). Slots were then cut into the rear of the Fuz until it was a nice interference fit and horizontal. 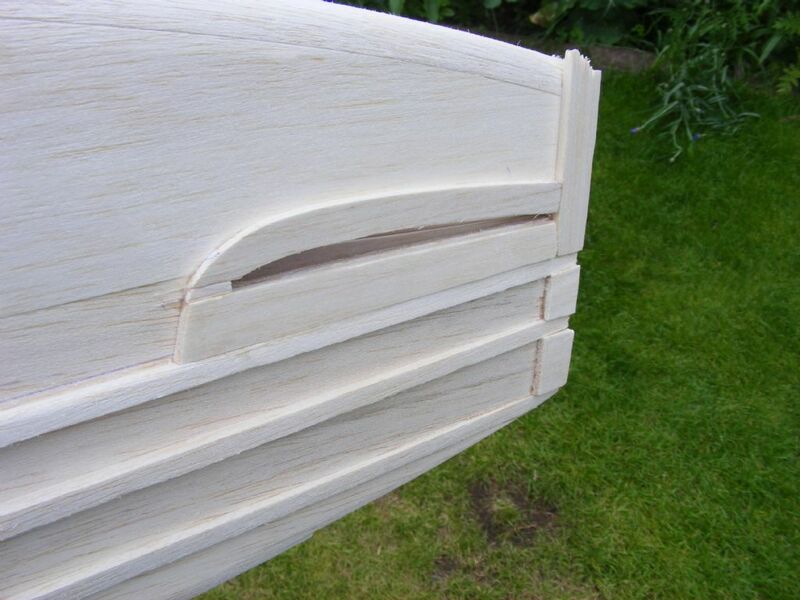 I have added scraps of balsa around these slots and sanded it all down.The reason is so that the covering has good attachment around this area and all the separate components can all be covered easily so I have a 'kit of bits' to assemble at the end. 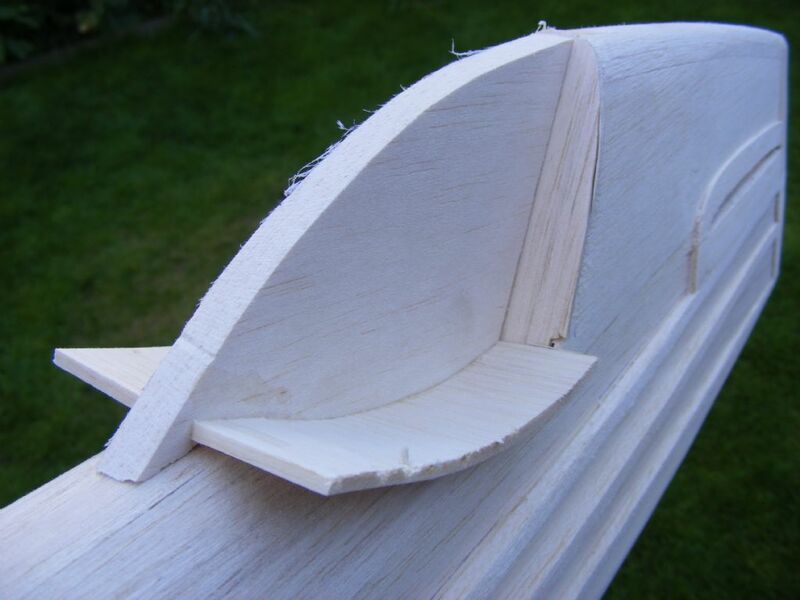 Also made the rudder up and hinged it, not quite sure if it looks too long? I was trying to keep to the same arc as the top and bottom of the fuselage. Next up I think I will make a canopy mould so I can shrink a bottle around it. Made the canopy this evening using bits of scrap balsa. 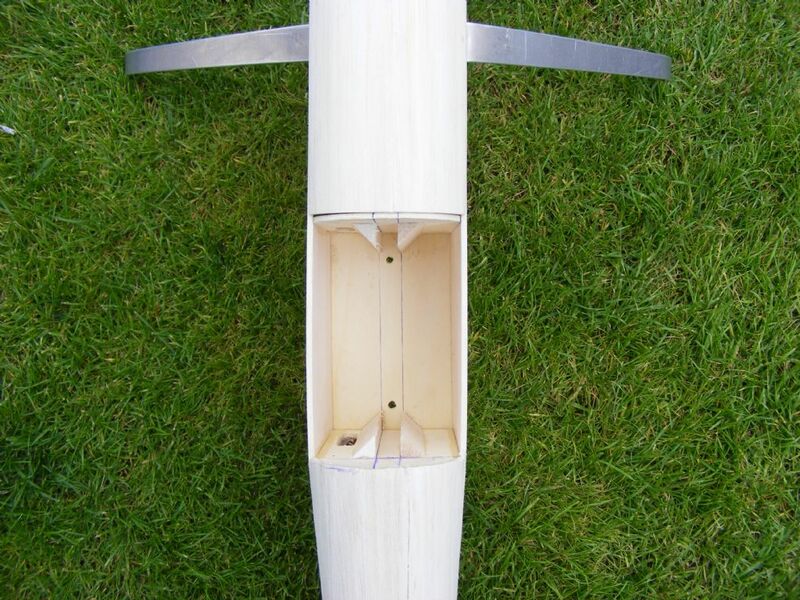 I will need to add some thickness to the bottom and rear so as to make the canopy 'trimable'. 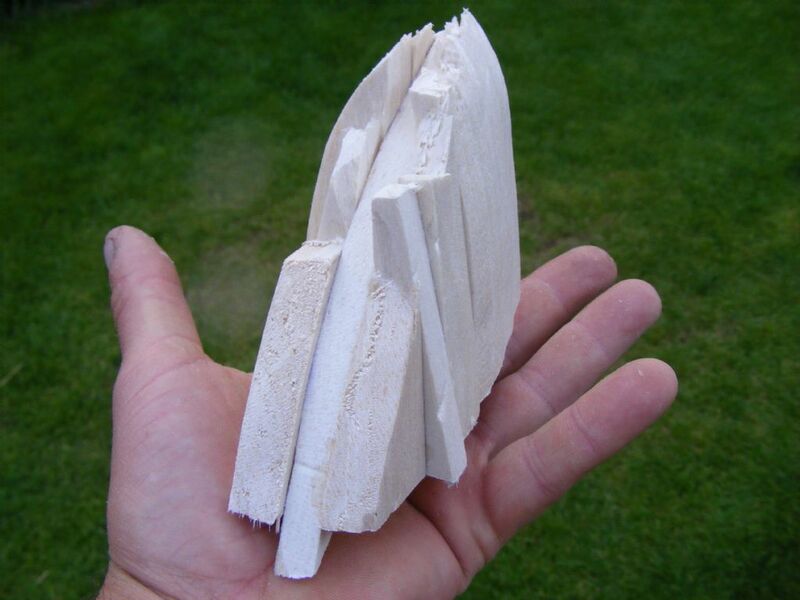 Then I can sand it down with fine sand paper. Need to drink a couple of cider bottles now! Looks well built and rugged Rich .....If the Panther is easy to handle it could well stimulate a wider interest in the "dark side". When was the last time the mag included an Auto gyro plan ? could be just the thing to create a new buzz. . I am not sure whether there has been an autogyro plan? Just made up a simple cowl using blocks of soft balsa with a ply ring at the front. Would be easy enough to cut this off and get a vacuum formed cowl as it would give better access. 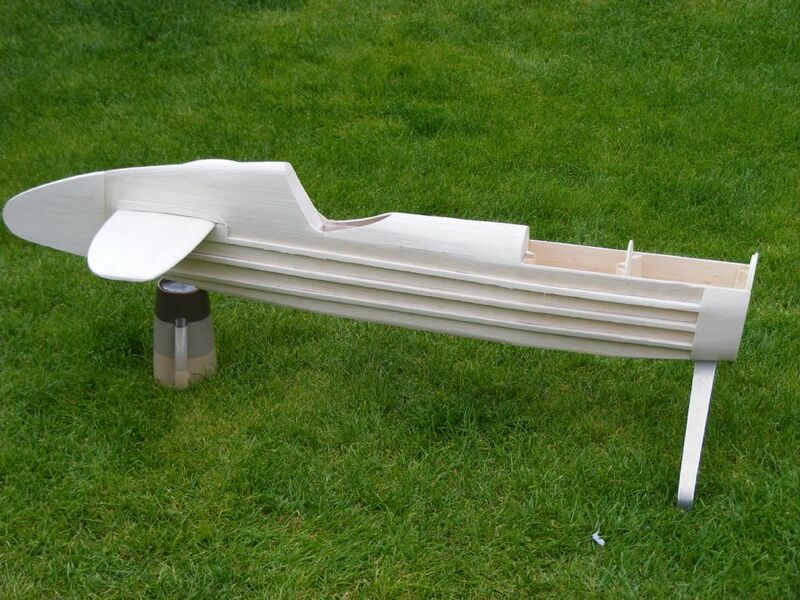 Does anyone know to a good cheap vacuum forming company for us modellers? 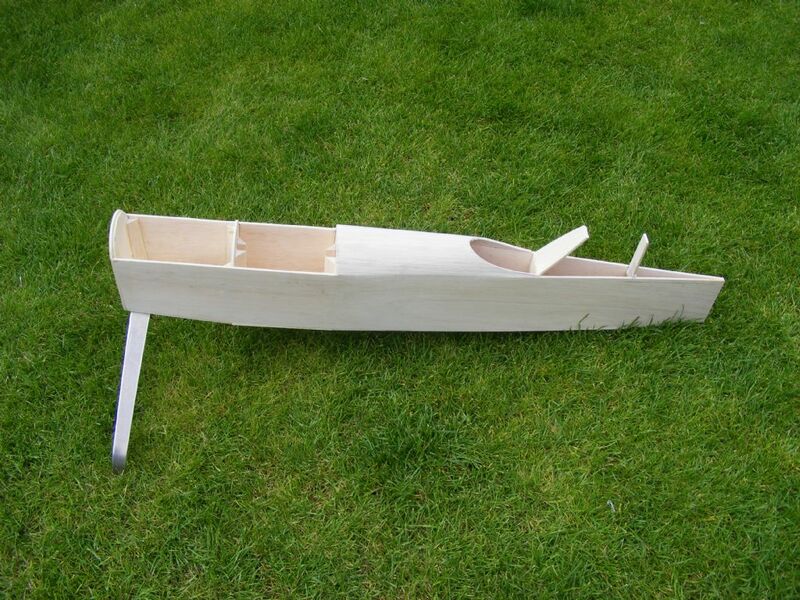 Also made a start on the mast , the 2 ply tongues will be part of the hinge for the pitch control. 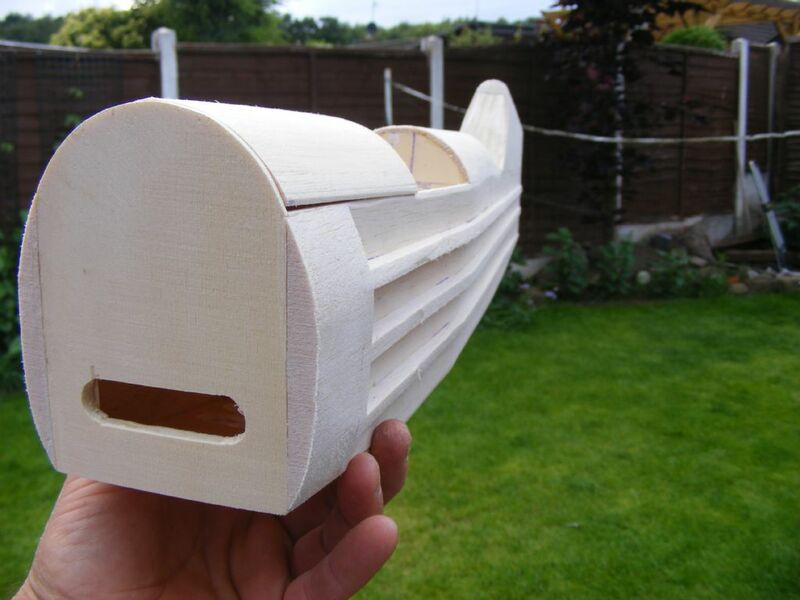 I will do some more on this later today, it will have 3mm balsa added to its sides with the grain running 45 degrees, opposing on each side. Shrunk a lemonade bottle over the balsa mould I made a couple of days ago, its not great but I have plenty of bottles now to play with. People on this forum scare me they build so quickly. Coming on nicely! you blink and they have another 3 planes finished and in the air. 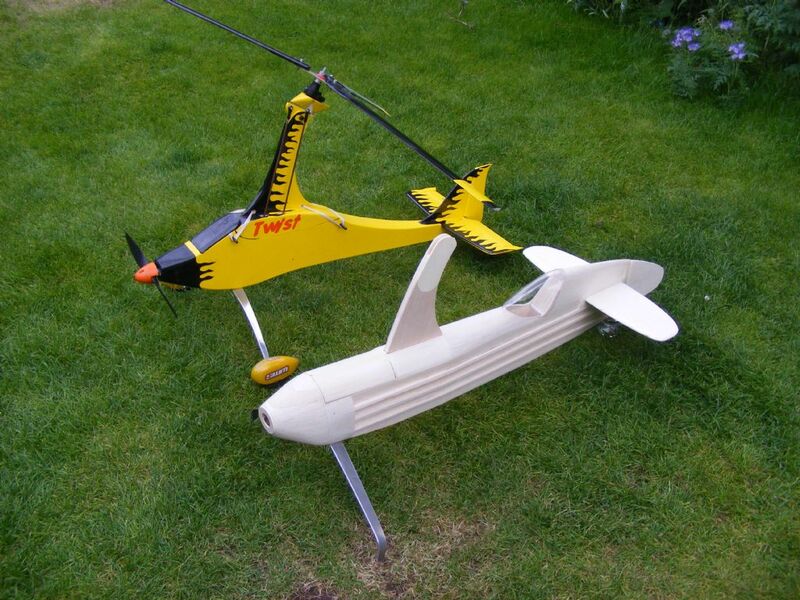 Please stop building these lovely autogyro's so quickly. I've not even had the chance to look over the plans I bought from you yet !! I was determined to have a go before the summer is over, I need to get my finger out and get some other things finished. One word....cyanoacrylate I hate the stuff but sometimes it has to be used! 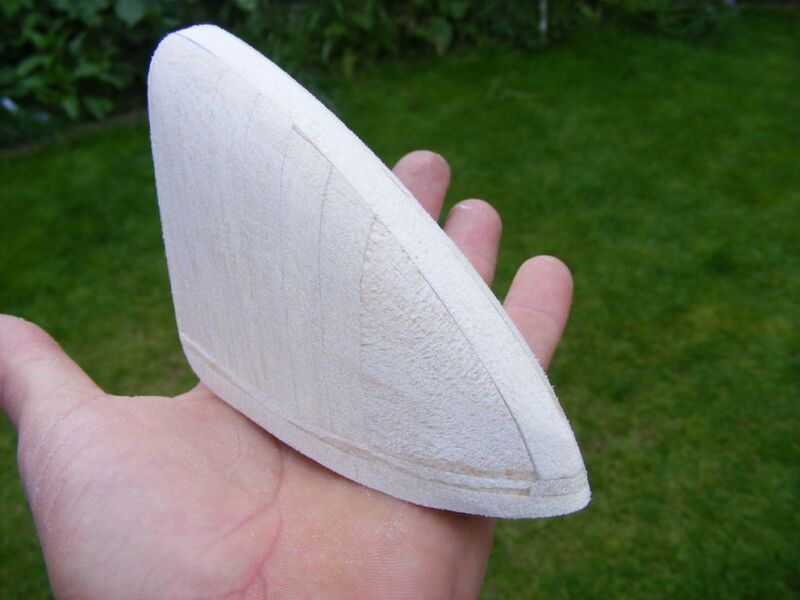 At the base of the mast I have epoxied 2 6mm thick birch ply 'wedges', inset into these are two M4 cap heads. 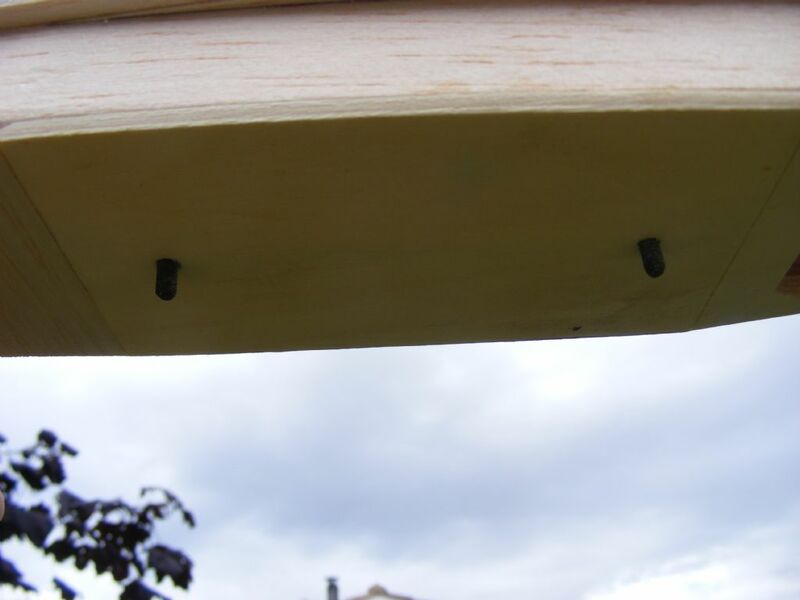 Their heads have had 2 flats filed in so they are flush with the ply in hoping they will not rotate when tightened up. I can now face each side with 3mm balsa and start to think about the servo mounts. 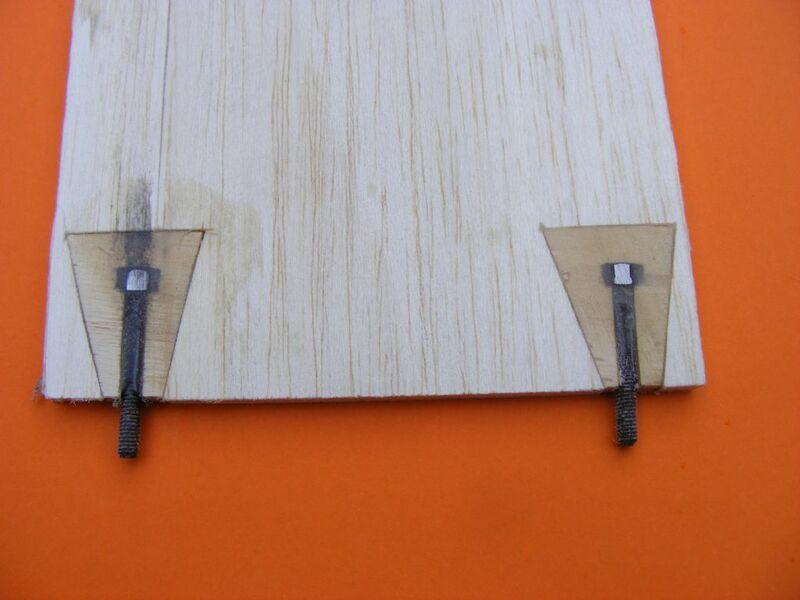 Photo below shows the two M4 cap heads protruding thru the bottom ply base plate. I have also started to cut out the head parts, will take some photos later on when I am able to get back onto it. Remarkable progress.....are you sure you are still going to bed at night?? Seriously mate, really nice lines, I think my kellett is going to have to give up its 48 Surpass! 48 Surpass should work well I would think. 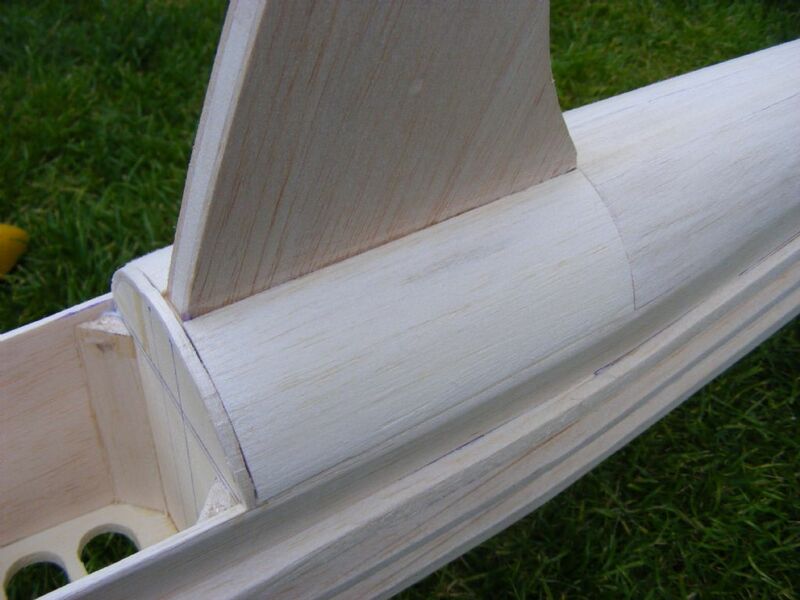 I have virtually completed the mast, added the 3mm balsa facings to each side of the main mast. 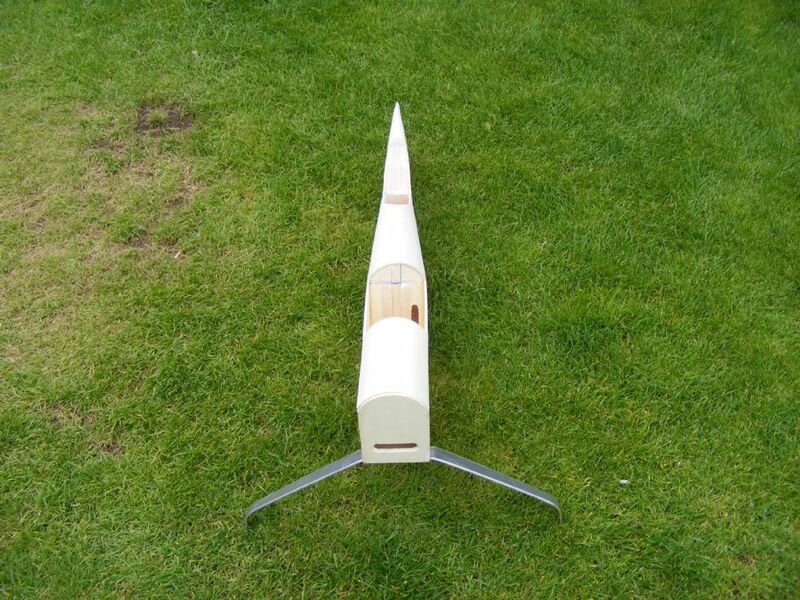 Plus the rounded top half of the fuselage has been added to the mast, seems to be a good fit. Just needs lightly sanding so that everything matches up. I cannot add the servos until the Gimbal head is completed , this will be next. 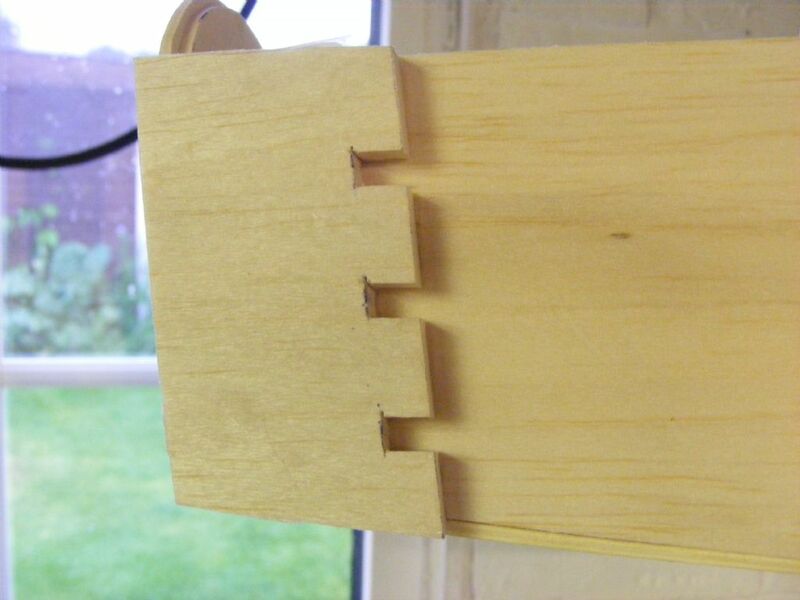 All of the parts have been cut and consist of a top and bottom half, hinged in the middle using bog standard 1/4 scale pin hinges. 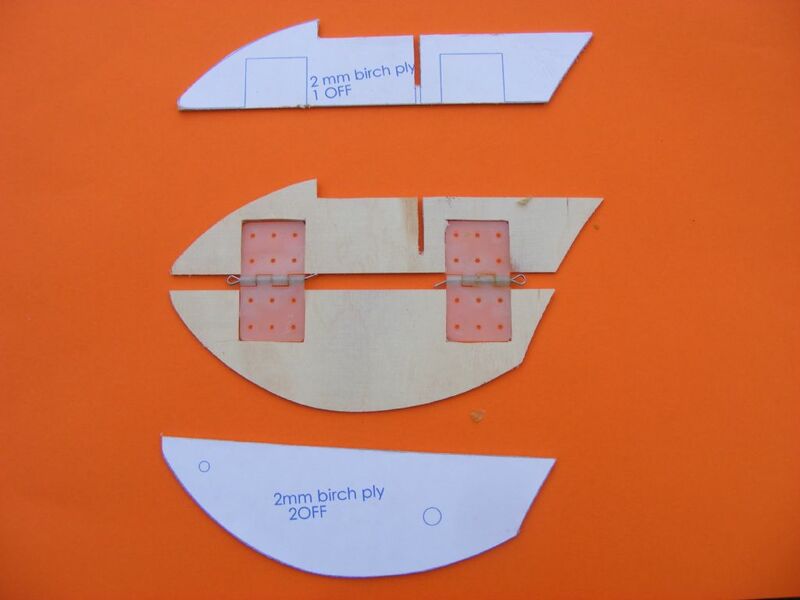 Each piece will be a lamination of 3 pieces of 2mm thick birch ply. The piece in the centre of the sandwich has the cut outs for the hinges, really simple! These are now clamped in the vice after being glued together with 24 hr epoxy. The slot you can see will be for the roll control arm location. Couldn't resist taking a photo of it next to the Twist to give those that are interested an idea of its size.